, a new tool built on top of YouTube's public APIs that enables any developer to solicit video submissions on their website, powered by YouTube. Users upload their videos directly on the developer's website, after which the developer can review the submissions and select the best ones to showcase. Since these videos live on YouTube, users are able to reach YouTube's large user base directly while also getting broader exposure and editorial validation for the videos they create. Although YouTube Direct was originally created with our news partners in mind, we believe that other developers and website owners can benefit from it as well. To put YouTube Direct in the hands of as many developers as possible, we open sourced the bulk of the code and designed it to run on Google App Engine - Google's scalable hosting platform. This enables developers to easily deploy their own instance of the tool and take advantage of App Engine's scalability and low cost. The videos themselves are served from the same infrastructure that powers YouTube.com. Visit YouTube Direct for Developers page to read more about it or go directly to the project page to download the code. As always, we'd love to hear your feedback on this new tool. Drop us a line in YouTube's Developer Forum. Today we announced the launch of YouTube Direct, a new tool built on top of YouTube's public APIs that enables any developer to solicit video submissions on their website, powered by YouTube. , and playback URLs in media:content entries. We fully intend for the changes to be backwards compatible, and from the developer's perspective you should not have to change any code. But testing your code is always a best practice, so if you rely on ClientLogin or retrieving media playback URLs from the Google Data YouTube API, please repoint your code to http://stage.gdata.youtube.com and confirm functionality. Any incompatibilities should be reported as soon as possible in our YouTube API Developer Forum. We expect to move the changes from the staging environment into production on November 17. While we don't normally call out new releases of the Google Data YouTube API on this blog, we wanted to draw specific attention to the version that has just been pushed out to our staging servers. There are two specific changes that we'd like to give our developers and partners a chance to test before they go live. Both changes affect important areas of the API: ClientLogin authentication, and playback URLs in media:content entries. , and in that time we've been encouraging developers who used the legacy YouTube API to upgrade before we pull the metaphoric plug on that older version. At this point, all but a handful of holdouts have upgraded, and as of November 11, 2009, the legacy YouTube API will cease operation. If you're using one of our YouTube API client libraries, then you're definitely making use of the modern Google Data YouTube API. If you're manually making HTTP requests to a URL whose hostname contains gdata.youtube.com, then you're also good to go. If you think you might still be using the legacy YouTube API but aren't sure, take a look at some of the example legacy API calls in this migration guide. If it turns out that you are still using the older API, then the migration guide will give you the information you need to upgrade – and be sure to do so before November 11! It's been several years since we've released the Google Data-based YouTube API, and in that time we've been encouraging developers who used the legacy YouTube API to upgrade before we pull the metaphoric plug on that older version. At this point, all but a handful of holdouts have upgraded, and as of November 11, 2009, the legacy YouTube API will cease operation. Fortunately, we've found a way to use correct URLs without breaking old browsers and we can't wait to do it. If you grab YouTube embed codes by hand from YouTube.com, or from the YouTube Player APIs or oEmbed, you'll start getting this updated HTML soon. As for all the embeds already on the web: worry not, those will continue to work forever. Previous to this release, ActionScript 3 developers had to rely on wrapper libraries that bridged the gap between the native ActionScript 2 API and their own ActionScript 3 code. We're thrilled that intrepid developers were able to patch things together on their own and share their code with the rest of the community. Now that there's official support for using the chromeless player from ActionScript 3, everyone should have more time to focus on writing compelling Flash applications, rather than dealing with the unique issues that cross-language coding entails. Please check out our ActionScript 3 documentation, and let us know what you think of the new API in our developer forum. With the launch of ActionScript 3 support, we're officially deprecating the ActionScript 2 YouTube Chromeless Player API. As per our YouTube API deprecation policy, detailed in our Terms of Service, we will continue to operate the ActionScript 2 API for a period of three years (until October 14, 2012). our new API upload infrastructure back in June and asked developers to test their YouTube API code against our staging environment. Since then, we've started deploying the new upload infrastructure to production machines in a phased manner. Last month, we transitioned browser-based API uploads to the new servers, and have been closely monitoring performance and error rates to ensure that there were no unintended side effects. We're now ready to begin the transition for direct uploads. Starting today, a small percentage of direct uploads traffic will automatically be routed to our new servers. We will be monitoring traffic over the next few weeks and gradually increasing the traffic that the new servers receive until we have fully completed the migration. As a developer, you won't have to make any changes in your code to take advantage of the increased reliability and bug fixes found in the new infrastructure. While we do expect that this new infrastructure will be fully backwards compatible, if you do notice any change in your application's behavior with regard to direct uploads, please let us know in our developer group. We first announced our new API upload infrastructure back in June and asked developers to test their YouTube API code against our staging environment. Check out the documentation at oEmbed.com for more information. Getting your YouTube web or client application up and running is only half the battle. We know that you'll also want to monitor your application to see how it's performing. Our new Developer Dashboard shows you at a glance the number of API requests, playbacks, uploads and errors that your app is generating. You can visualize the data using our interactive chart or download a file to process the data offline. To use the dashboard, you'll need to provide a developer key in your API requests and then pass the media URLs from the API responses to the standard embedded player or the chromeless player. featuring hundreds of videos from its vast archives. AFI is utilizing YouTube's APIs in order to stream videos directly from AFI's YouTube channel, as well as other great clips curated from YouTube. In addition to accessing the video content, users can post comments on the AFI.com video site as well as embed the videos on other sites, blogs and social networking pages. The collection will be regularly augmented with videos selected from the AFI Archive, which contains 10,000 hours of material produced during AFI's 42-year history, much of which has never been seen by the general public. Be sure not to miss great clips such as "Alfred Hitchcock On Mastering Cinematic Tension" or "Steven Spielberg: The Toughest Thing For A Director". We're thrilled that the YouTube APIs can help unlock such amazing material. Nice work, AFI! The American Film Institute (AFI) just launched a new video portal on AFI.com featuring hundreds of videos from its vast archives. AFI is utilizing YouTube's APIs in order to stream videos directly from AFI's YouTube channel, as well as other great clips curated from YouTube. In addition to accessing the video content, users can post comments on the AFI.com video site as well as embed the videos on other sites, blogs and social networking pages. that tracks updates to any number of YouTube user activity feeds. The technology behind the application is the Simple Update Protocol (SUP), a simple and compact "ping feed" that enables your application to efficiently monitor changes to a large number of user activity feeds. If you run a social network with tons of users who also happen to be active on YouTube, you should consider using SUP to let your users easily share their updates on YouTube with their friends through their social graph on your site. See the docs here. 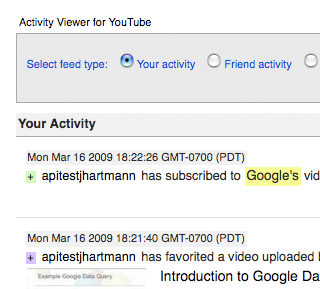 At Google I/O 2009, we demoed a nifty sample application that tracks updates to any number of YouTube user activity feeds. The technology behind the application is the Simple Update Protocol (SUP), a simple and compact "ping feed" that enables your application to efficiently monitor changes to a large number of user activity feeds. Please do regression testing on your systems and report problems in our discussion forum. Barring any major complications, this will begin rolling out to the production uploads URL (uploads.gdata.youtube.com) in two weeks. tomorrow -- if you're coming as well, come say 'hi' to the team at Office Hours, at the Sandbox, and in our two sessions. If you can't make it, watch the Twitter stream during the conference and the videos that will be posted afterwards. We'll be seeing both of them at Google I/O tomorrow -- if you're coming as well, come say 'hi' to the team at Office Hours, at the Sandbox, and in our two sessions. If you can't make it, watch the Twitter stream during the conference and the videos that will be posted afterwards. Google I/O, our largest developer conference in San Francisco, CA, is just around the corner, and we'd love to see more YouTube developers there. We'll have two formal sessions, as well as office hours and lots of demos at the Developer Sandbox. Kuan, our Product Manager, will be giving a session about writing great, monetizable apps, and Jeff Fisher and Jochen Hartmann will be giving a session on the new social feeds. Check out the rest of the great sessions and the schedule. We have one free pass ($400 value) to give away, so if you'll be in the area, tell us why you want to go in this forum thread. We'll pick the worthiest person by the end of the week (hint: Jeff really likes Haikus :). In an alternate universe (where I have a goatee) I may be a voice actor instead of a Googler. 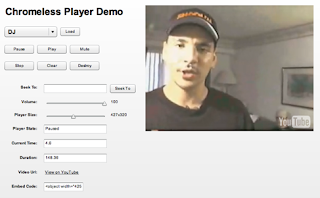 However, since we live in this universe, the best I can do is make you a screencast about the YouTube API. Specifically, this video discusses the various search options we have in our Data API and the various limitations and caveats to keep in mind while integrating it into your program or website. If our API documentation is like the printed manual in the box of a new purchase that you never read, think of this video as the one-page laminated card with pretty pictures on it telling you not to get crushed by a bookshelf or hurt your back. Enjoy! Modifying Chow-Down Part 2: Make it Faster! , I was given the task of making our Chow Down Gdata sample a little faster. It would sometimes take a while to load restaurant information due to the requests to YouTube and Picasa Web Albums taking a while to be processed on the backend. Since this would cause the user to sometimes see a "loading" bar for several seconds; something had to be done. Originally, the application used the Python client library to retrieve information from YouTube and PWA and then stored it inside of memcache. The new solution is to instead retrieves these feeds directly in the browser using the json-in-script support of the Google Data APIs. 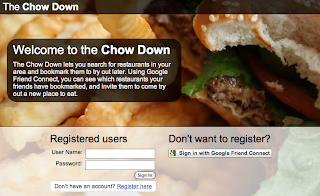 This approach worked well for the Chow Down application since we were not retrieving any private information for use in this application and so did not need to authenticate as a user. Another benefit of using the JSON feeds is that the browser can asynchronously request results from both YouTube and PWA at the same time and render the results as soon as they are returned. This helps decrease the "perceived load time" that the user experiences since they are seeing information start to be loaded instead of just watching a progress bar. So if your site is using the Data APIs of one or more Google properties and you don't need authentication, considering switching to the JSON feeds to improve perceived latency and let your pages load the AJAXy way. As promised in the previous blog post, I was given the task of making our Chow Down Gdata sample a little faster. 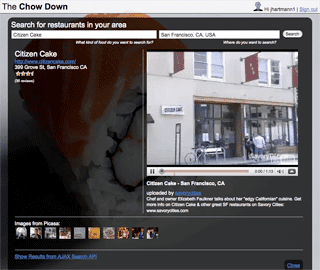 It would sometimes take a while to load restaurant information due to the requests to YouTube and Picasa Web Albums taking a while to be processed on the backend. Since this would cause the user to sometimes see a "loading" bar for several seconds; something had to be done. The query above will return a list of playlist snippets that match the query 'soccer'. Searching in playlists is an excellent way to find YouTube videos about a specific point of interest (e.g. dancing, cooking, sports etc.). You can now request past the 100th video in a playlist and past the 200th video in a favorite list. Additionally, you can now get 1000 videos in a search feed instead of 999! Enjoy that last video, guys. As always, post in the forum if you have any feedback or questions! Enjoy a few new tidbits in the latest release. As you may have heard, YouTube has been getting more social lately. Our activity feeds help your users stay up-to-date on the cool channels and videos that their friends (or anyone else, for that matter) have been uploading, subscribing to, adding as favorites and so forth. But we don't just care about YouTube users. We also care about developers. And we want you to have time to be more social, too. 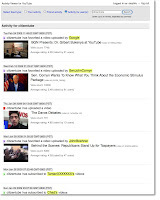 With that in mind, Jeff Fisher and I wrote a hands-on tutorial that explains how to build the YouTubeActivityViewer, a PHP application that uses the new activity feeds. The application uses our PHP client library with jQuery. If you're still not ready to rush out and socialize, you can also build in a caching system with memcache. Last, but not least, there is the Notifier for YouTube sample application, which showcases the activity feeds YouTube is exposing. You can subscribe to events from your friends and other YouTube users and get notified whenever they leave their marks in the YouTube universe. The sample is also available as a separate download. 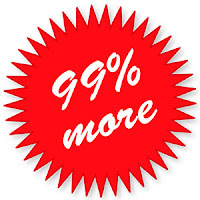 PHP Client Library: Uploading videos now 99% more efficient ! If you are using the PHP Client Library to upload your videos to YouTube.com you may have had to deal with memory issues, such as the common Fatal error: Allowed memory size of ... bytes exhausted error message. I am happy to announce that as of version 1.7.6 of the client library, this should no longer be a problem. Jeff Fisher and I have added support for streaming large video files to our API in manageable 1 MB chunks. The change is completely transparent, so you won't need to do anything besides upgrade your copy of the client library. Prior to this change, our client library used to rely solely on the Zend_Http_Client object to handle HTTP communication between servers. The client makes requests by reading the entire body of your HTTP POST message into a string, which then gets sent to our API server. This behavior is perfectly acceptable for normal use since most of the time we are just sending XML strings or small media files such as images, but doesn't work quite so well for uploading 1 GB video files. 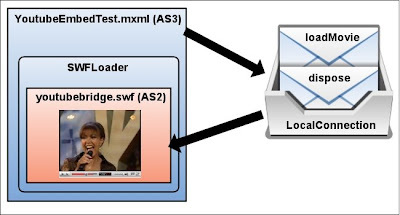 To address this problem, I designed a Zend_Gdata_MediaMimeStream object which only stores a handle to the video file being uploaded. Jeff built a Zend_Gdata_HttpAdapterStreamingSocket which then reads from the media stream in 1 MB chunks and sends to the socket until the entire message is read. We have tested this code extensively and are always open to feedback on how to improve performance issues in our client library, so check out the source code if you are interested. As you can see in the snippet above, the $xmlString variable is now just a regular string instead of a Zend_Gdata_VideoFeed object. My testing shows that this can make fetching video feeds from YouTube faster by up to 35 times. Of course you would need to add a little bit of time parsing the XML with the tool of your choice (XPath, etc.). I should also add that those interested in parsing XML without the aid of the client library may want to check out the Backward Compatibility Guidelines for the YouTube Data API.